Loftium, which launched in 2017, says on its website that it provides homebuyers up to $50,000 to be used as a down payment. In exchange, the homebuyers agree to list a spare bedroom on Airbnb for one to three years. Loftium then keeps 60 to 90 percent of the Airbnb income. Loftium’s website says that it is only working with homebuyers in the greater Seattle area. The company — which did not respond to multiple requests for comment — has struck a deal with at least one existing homeowner in Denver, eschewing its down-payment strategy in favor of offering above-market rent. Denver resident Kevin Krauth, who owns a three-bedroom bungalow home near the University of Denver, told BusinessDen that representatives from Loftium contacted him earlier this year after spotting his home for rent on Craigslist. “When they first reached out to me, I thought for sure it was a scam,” Krauth said. But after researching the company and speaking to more of its employees, he said, he came around to the idea. According to Krauth, Loftium representatives said that his house fit a certain profile that would make their new model work: It effectively has two self-contained units — one on the main floor and another in the basement — each with its own entrance off a split staircase landing. And the basement level has its own bathroom and kitchenette. Krauth said that Loftium signed a 12-month lease starting this month for $2,800 a month — $200 more a month than Krauth previously received for the property. Under the agreement, Krauth said, Loftium was to find one individual to sublease the upper level of the house and live there full time. That individual, whom Krauth had to approve, is responsible for managing the basement level as an Airbnb unit. Krauth said the subleaser is paying Loftium around $1,625 a month, and the company expects to more than make up the difference with Airbnb revenue. Krauth said the subleaser may owe Loftium less rent if Airbnb hits certain targets. Krauth said he receives $2,800 monthly regardless of how often the extra unit is booked. He also said he believes Loftium is working with a handful of additional homeowners in Denver. “A final determination of the legality of this model cannot be made until a license is applied for and the City has a chance to review all the facts,” Escudero wrote in a statement. 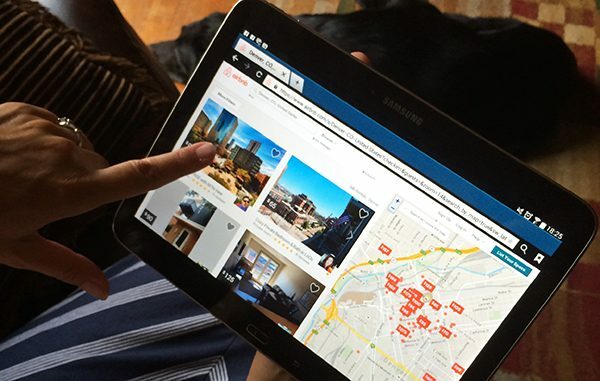 Loftium isn’t the only startup experimenting with Airbnb in Denver. San Francisco-based Pillow has partnered with a Capitol Hill apartment complex to offer tenants lower rent in exchange for listing their units on Airbnb, with the income split between the three parties.